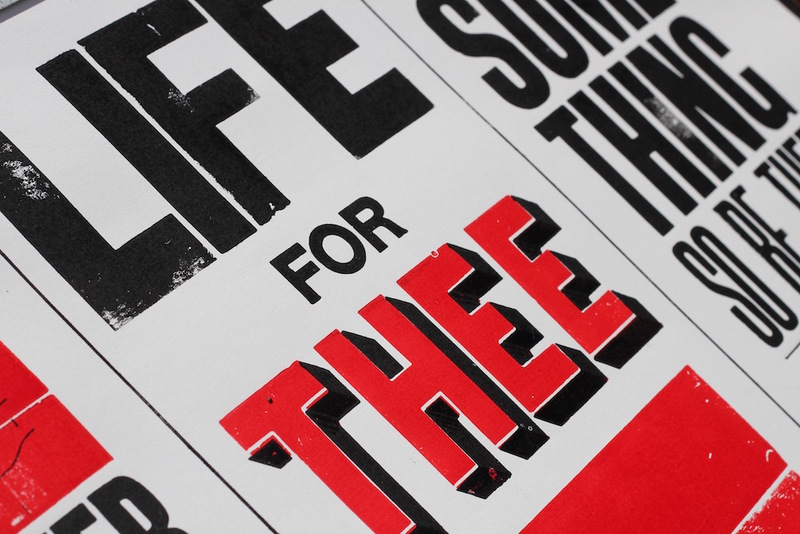 Two Colour Letterpress Print printed using vintage wooden type, limited to 20. 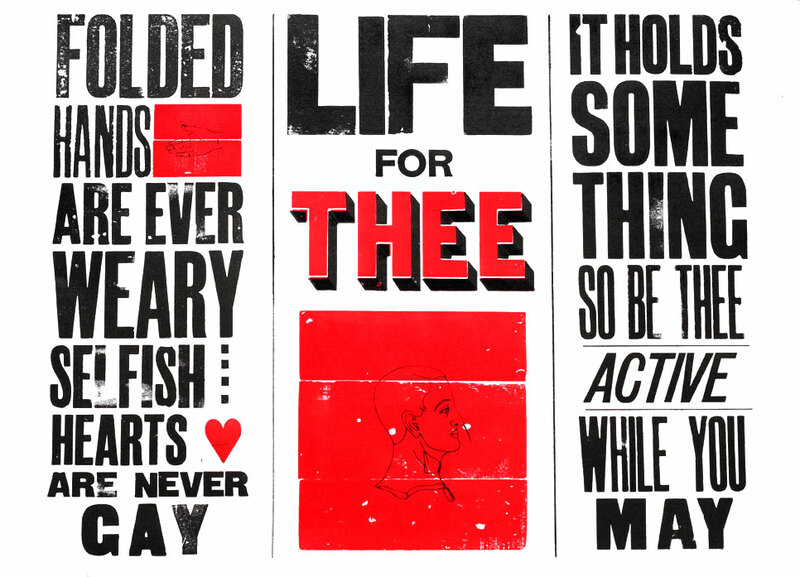 The Second in what I plan to be a triptych of prints, “Part 2 – Folded Hands” is a hand set letterpress print using a the second verse of a poem told to my by my great aunt as the basis. Life for Thee, It holds something.